There are six forces -hearing, pondering, mindfulness, awareness, effort and intimacy. These forces affect the nine stages of thought that lead to one-pointedness of mind. First, by the force of hearing, thought focuses upon the object of meditation. Merely hearing from another the precepts for focusing the mind, however, only tethers the mind to the object of meditation — it does not by itself cultivate the focused mind by returning it again and again to the object. Secondly, by the force of pondering, there ensues right settling on the object of meditation. One repeatedly ponders the object and watches over the continuation of the tether of the mind to the object, for initially one had little capacity to extend the continuity of mental focus. Thirdly, by the force of mindfulness, one prevents thought from straying and settles the mind within itself. Whenever one’s mind strays from the object of meditation, one should concentrate within through mindfulness of the temporarily forgotten object. Fourthly, by the force of awareness, one achieves both controlled and quietened thought. One recognizes through awareness the disadvantages of discursive thought and its derivative defects, and one does not allow them to appear when they are observed in this way. 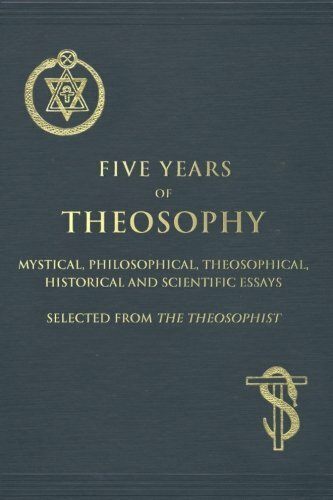 Fifthly, by force of effort, one completely pacifies thought and reaches one-pointedness. Through effort one eliminates discursive thoughts and does not allow even subtle hints of them or their derivative defects. When one meditates with effort in this way, fading, scattering and the other flaws of discursive thinking cannot interrupt samadhi. Thus one perfects samadhi without discontinuities. Sixthly, by the force of intimacy, one reaches natural concentration, for the tremendous force of cultivating the earlier stages of thought engenders a samadhi, which continues effortlessly. This is the meaning of the Sravakabhumi. Do not trust explanations which deviate from this. In brief, one initially pursues the precept that one hears, and follows this method to natural concentration. Having focused the mind, one meditates again and again upon the precept and remains vigilant even though one has little capacity for continuity of consciousness. Then, if mindfulness is lost and consciousness wanders off, one can concentrate and quickly recover mindfulness. Thus the force of mindfulness is generated and becomes mindfulness that does not stray from the object of meditation. When this is accomplished, one generates the intense awareness which can detect the defects of discursive thought, and even if distracted by subtle forms of straying one recognizes this and halts the movement. Then one generates the force of effort which prevents discontinuities for ever-increasing spans of time. Through effort one ceaselessly endeavours until one soars into the mystic perfection of effortless samadhi. The yogin who is advanced, but not yet at the night stage of thought, must use the force of of effort to settle the mind in samadhi,. But when he has attained the night stage he no longer engages in effort, for the mind is suffused with samadhi.